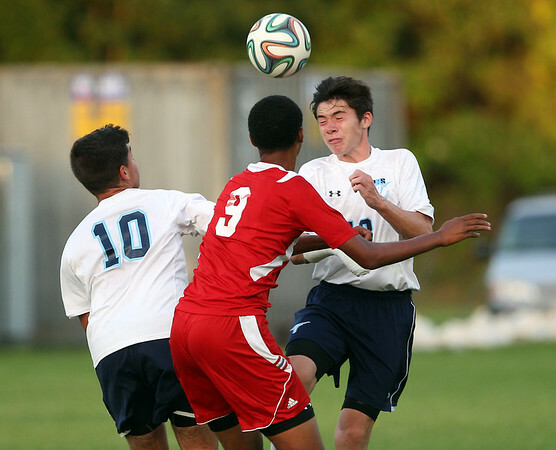 Peabody midfielder Kenny Sawyer, right, wins a header from teammate Lucas Amaral (10) and Salem midfielder Alejandro Smart (9). DAVID LE/Staff photo. 9/9/14.